NURTURING SPIRITUAL BALANCE IN EXTREME TIMES – BUILDING THE PATHWAY TO PEACE AND MERCY. It’s no secret humanity is living in extreme times, the 21st century has become the breeding ground for extreme ideas and complex problems; from man-made famines in war-torn countries to civil unrests in so-called 1st world countries, the growing march of new-age atheists to suppress religious discourse from all public life, to religious zealots forcing hardline religious dogma on others, these are times of uncertainty in direction, goals and hopes of the masses. Religious education once the foundation from which other forms of learning, creativity, and advancement flourished is now seen as the underpinning reason for chaos in the world. Why is humanity facing a growing sense of unease? Is global current affairs causing irrational fear among people? Why is there little, (or the lack thereof), empathy in people when they see daily reports of people suffering around the world, refugees drowning in cold, deep and dangerous oceans? 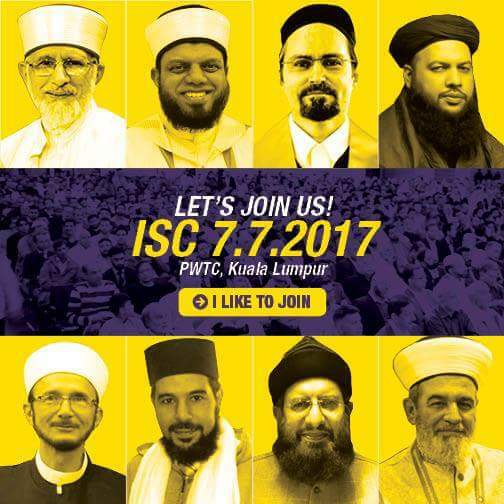 This ultimately puts a floodlight of focus on spirituality and the need to present an authentic true image of Islam one that does not always show the stereotypical image of the hair-raising, finger-pointing shouting bearded muslim man marching to the call of “death to America (or the west)”. The current global climate of extremism shows the loss of spiritual balance in a world far removed from anything authentic and submerged in everything inauthentic. Religious ideologues will often point to the lack of true knowledge from scriptures being the reason, modernists will call for a focus on secular education and training, causing those in-between to feel trapped and lost. 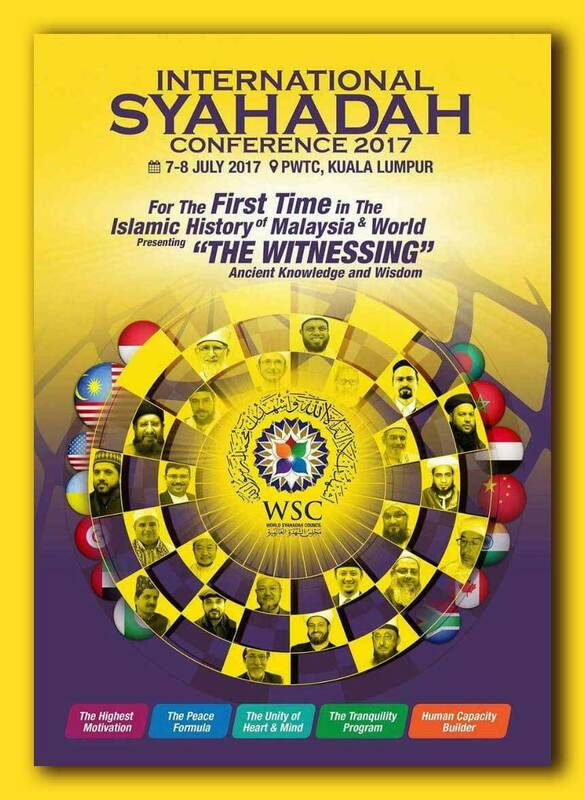 This is why in this timely and much-anticipated International Islamic Summit in Malaysia many of these questions facing civilisations across the spectrum will be answered; the rise of extremism, lack of actual solutions to counter extreme narratives. How the historical role of authentic Islamic spirituality kept a balance between extremism of all kinds, free from vigilante retaliation, a sense of alienation, rejection and brutal indiscriminate violence. 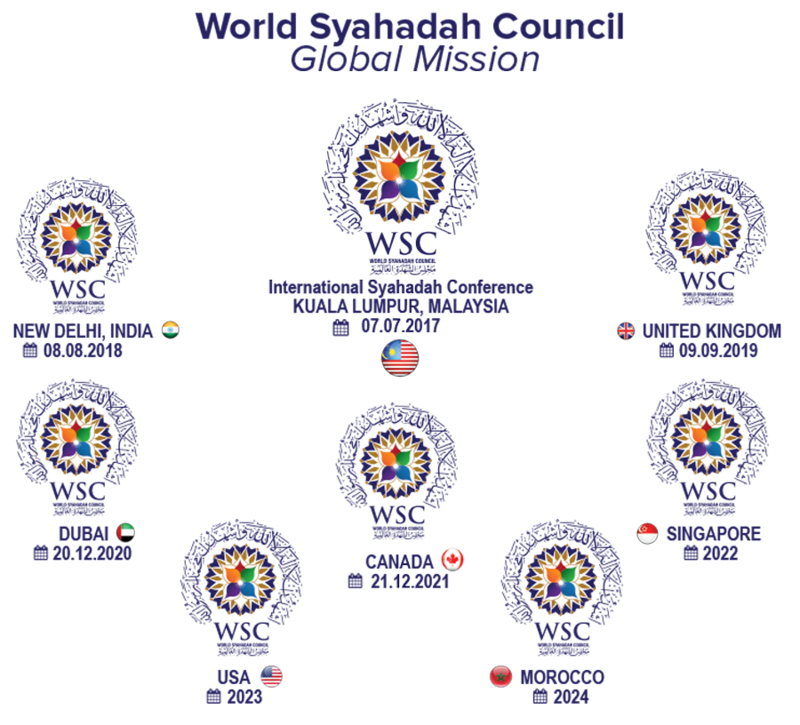 With over 100 world-renowned and accomplished scholars, spiritualists and academics in attendance, and people attending from over 55 countries and with a potential global viewership of 750 million, this conference will provide a collective, robust and constructed effort on the importance of spiritual revival in religious environments in all areas of engagements. Shaykh Ahmad Dabbagh, an influential public speaker from the United Kingdom and the principle teacher of the course of purification of the heart known as Tareeqah Muhammadiyah, will present its systematic program of mentoring that has allowed thousands of people across the world to shape their Islamic life into the beloved image of the sunnah of the messenger of Allah sallahu alihi wasallam and escape the brutal downward spiral of extremism in religion. This program along with a number of world ranking scholars and their achievements will highlight the magnitude of the peaceful message of Islam together with the 12 topics in which the conference will resolve around. Attend this event and meet world-renowned scholars of influence and build a relationship with the men of Allah that will enable you to reap its benefits in this world and the next. 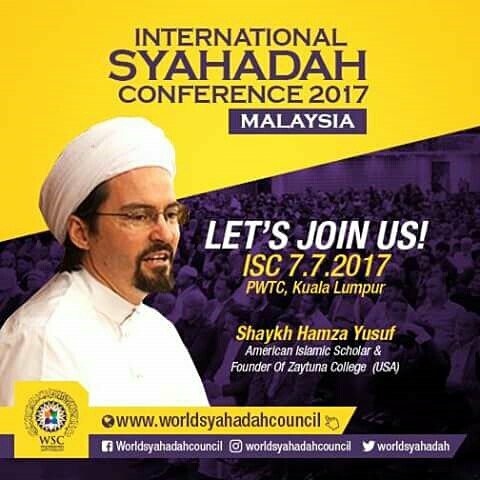 CONTACT DETAILS: visit http://www.worldsyahadahcouncil.com for more information on how to book your place at this year’s highly anticipated event. Attend in person or let others know of this essential Islamic summit through social media, forums, blogs and websites. Become part of spreading the positive image of Islam on a global scale. Salam akhi what does syahadah mean? Im not entirely sure brother may be it means “shahadah” in Malay.